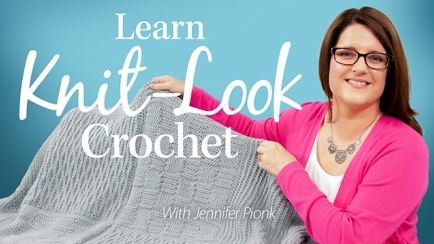 Jennifer Pionk is the professional crochet designer behind A Crocheted Simplicity, a line of fun, functional and modern crochet patterns. She taught herself to crochet 5 years ago and hasn’t looked back. Jennifer has published over 150 original crochet designs and has had her work published in books and magazines. She loves continuously exploring new techniques and putting her own spin on the classics but also sharing her passion for crochet through teaching others. You can find her designs at www.acrochetedsimplicity.com, on Facebook and on Ravelry. Displaying 1 - 5 of 5 classes(s) found. 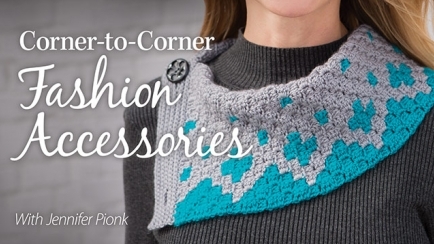 Spice up your wardrobe with two stylish crocheted fashion accessories made with the wildly popular corner-to-corner technique! 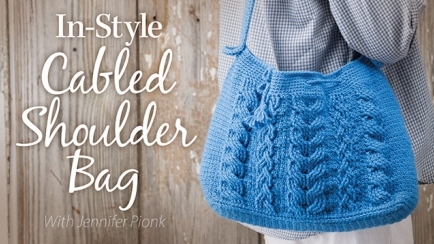 Learn how to crochet three gorgeous cables while creating a fabulous shoulder bag! Discover the ultimate guide to crocheting cables! 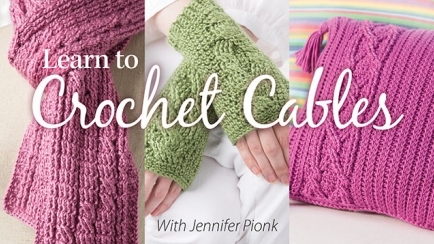 You'll love having this skill plus three amazing cable projects in your crochet toolbox! If you know how to crochet basic cables, you'll love taking your skills to the next level while making a gorgeous cabled afghan! Expand your crochet knowledge by learning a new way to use your crochet hook that results in beautiful knit-look fabrics!